Why did you Write 72 Ways to Prepare Alpo & Love it? 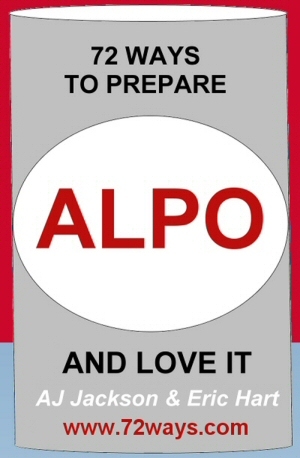 "Strongly suggest adding a "google+" button for the blog!…"
ALPOLUV on Why did you Write 72 Ways to Prepare Alpo & Love it? "We do not suggest anyone use their smashed out tv as a fireplace. They are made…"
doctordrewl on Why did you Write 72 Ways to Prepare Alpo & Love it? "Here's one of my favorite recipes! (Not in the BOOK) Ingredients 1 cup wa…"
Helen on Why did you Write 72 Ways to Prepare Alpo & Love it? "I suggest adding a facebook like button for the blog! Its such a great book. H…"
"I really appreciate this great book. Thanks…"
Tell us what are you doing to Prepare your Financial Future?